We tend to think of war as a temporary breakdown, an interruption in our normally peaceful existence. But what if it isn't? What if it's an innate and inescapable aspect of humanity? 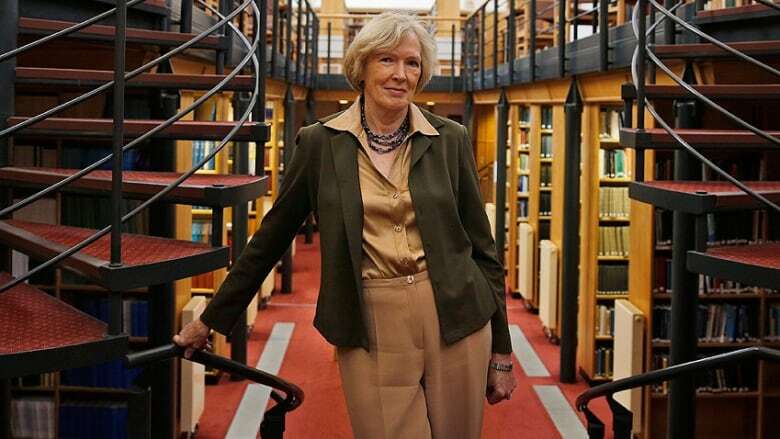 In her BBC Reith Lectures, historian Margaret MacMillan ponders whether we're destined to fight, and explores our very complicated feelings about war. **This episode originally aired October 26, 2018. In her final lecture recorded at the Canadian War Museum in Ottawa, Professor MacMillan considers the paradox of commemoration, and wonders whether representations of war can really create beauty from horror and death. Can art ever capture the essence and meaning of war? She called the lecture War's Fatal Attraction. In Flanders Field. War and Peace. Guernica. All Quiet on the Western Front. The War Requiem. Catch 22. The Band Played Waltzing Matilda. The list of poems and paintings and novels and music about war is long and illustrious. The works are powerful and sincere. Inspired by carnage and despair. And also by a hope that humanity will finally learn from the devastation we have so regularly wrought. But war somehow seems to be an essential part of being human. Perhaps we are simply destined to fight. So what does all that timeless art really say about us? And why is it so important to continually think about our propensity for war? Margaret MacMillan says: "In understanding war, we understand something about being human – our ability to organise ourselves, our emotions and our ideas and our capacity for cruelty as well as for good. We fight because we have needs, because we want to protect what we hold dear or because we can imagine making different worlds. We fight because we can. But that long intertwining of war and society may be coming to an end – or perhaps it ought to – not because alas we have changed, but because technology has. With new and terrifying weapons, the growing importance of artificial intelligence, automated killing machines and cyberwar, we face the end of humanity itself. I hope these lectures have helped us understand what war has meant in the past. It will be up to all of us to consider what it will mean in the future." Margaret MacMillan is emeritus professor of international history at Oxford University and professor of history at the University of Toronto. Her acclaimed books include Paris 1919: Six Months That Changed the World (Random House, 2003), The War That Ended Peace: The Road to 1914 (Penguin Canada, 2014), and her Massey Lectures History's People (House of Anansi, 2015). For copyright reasons, we cannot provide this episode as a podcast. But the BBC Reith Lectures website offers additional ways of listening to Margaret MacMillan's series. There are also complete transcripts of all five lectures, as well as details on previous Reith series.